Although You’ve Mastered Pitching, Can You Pitch Yourself into a New Role? Stories about company mergers or acquisitions are daily news in today’s headlines. Journalists love these stories because they usually have the potential to be juicy. Customers, clients, employees, competitors and stakeholders may be heavily impacted. Plus, these mergers can make for a good story over a lengthy period, anywhere from one month up until a full year until the merger is a done deal. 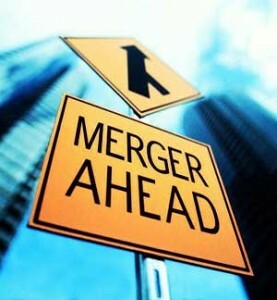 If your company is suspected to merge or be acquired, remember there will be a long time period of merger talk internally, eventually an official external announcement, followed by a period of working normally, while aware of the merger effective date. When I first learned about this pending merger, there were a few key steps I took (round one) that helped me make a job move six months later. Inform all of your professional contacts with whom you have a positive business relationship that your company is in merger discussions and as a result, you are exploring your options. Make it perfect. Ask several people you trust to review it. Mark your calendar consistently to update your resume each month as there will be key responsibilities or projects you may forget later on. Consider what companies you would like to be employed at. Make a list of these companies, noting who you may know there or who you may know who knows someone there (second level connections). Start working these contacts. Ask to meet or speak to them at their convenience, before work, at lunch, after work or even on the phone in evening hours. Craft your homerun pitch and become comfortable with it before launching your network conversations. Where do you want to work? What is the work you want to do? What size company? Where should this company be located? What level should your next role be? Why are you searching? Simple: you are not sure how this merger is going to shake out for you. Write down your final pitch and review it daily. You are now married to your pitch so stick with it. I took all of these steps initially in June, four months leading up to an October merger. I did not learn my job was being eliminated due to this merger until two months after the merger had occurred. That is why it is key to continue working your network with your new pitch before, during and after the merger. If and when you do learn your role is going to end, you will be well prepared for round two of your search. The better you managed round one, the easier round two will be. Reconnect with the contacts that you initially informed about your pending company merger. Share with them your job status change and that you are on the market. Before reaching out, review their company websites for potential job openings that interest you. Even if none of the current postings are right for you, continue informing them of your new undesirable job status and awesome pitch. Maximize all of your job leads by consistently following up on each one. Never EVER sit tight thinking that you are guaranteed any particular role until you have received an offer letter. After landing successfully in your new role, it doesn’t hurt to continue practicing to pitch about your background and future interests (within reason!) to your new colleagues. Karen Toner is a PPRA member who works in professional services marketing/communications. She recommends reading The @ Hour Job Search by Steve Dalton to ramp up your search. Karen is happy to assist any fellow PPRA members whose companies may be merging with their search and pitch strategy. This entry was posted in Tips & Advice and tagged Career Advice, Changing Roles, Company Merge, Job Search, Job Status, Leads, Merger, Network, Pitch, Tips by pprablog. Bookmark the permalink.